Verterra means 'true to the land' and our estate grown fruit is used to produce elegant red, white, rose and sparkling wines that embody the essence of the Leelanau Peninsula. We are a family-owned business focused on creating exceptional wines from estate-grown fruit on the spectacular Leelanau Peninsula in Northwestern Michigan. Our journey started in 2006 with a dream. We planted our first 1.5 acres of grapes in our vineyard affectionaly known as 'Frost Pocket.' From that point forward, we were hooked; and today we have 40+ acres of estate-grown fruit that we carefully cultivate to produce exceptionally balanced wines. 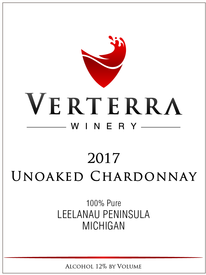 In 2017 and again in 2018 we had the honor to win the Best Dry White wine in the State of Michigan. 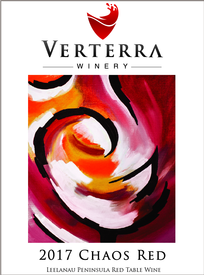 Twenty five judges awarded Verterra Winery the top award. In over thirty four years of the Michigan Wine Competition no winery has won Best Dry White in consecutive years. Come taste the essance of Pure Leelanau Peninsula wines in our Leland Tasting room one block from the sandy shores of Lake Michigan. Ever wonder what the weather looks like from the last highest Ridge in the Leelanau Peninsula just outside of Traverse City. Guess no longer. One of the local News stations has a weather cam on our building. Click on https://upnorthlive.com/weather/skyview-camera-network to get a live feed on the site. Our dry Rieslings from 2016 and 2017 both won the award for best white wine in Michigan and this is as good if not better.